Taking your CBT test in Croydon is the first step to getting on two wheels and away from the jam-packed commuter trains and slow, noisy buses of Croydon and central London. You’ll be at work in no time once you’ve got your L-plates and a nippy little scooter or motorcycle to take care of the London traffic. We have a number of CBT centres in and around Croydon, so no matter where you are, there’s sure to be a convenient school for you. Phoenix Motorcycle Training, based in Crystal Palace, are currently our closest test centre to Croydon. This school is the first in the UK to be approved to MCIAC Gold Standard, which means they’re the absolute best at teaching beginners how to pass their CBT. They’ll provide you with a helmet, jacket, boots and gloves for your CBT, and they even have an on-site cafe, should you get a little peckish throughout the day. If you prefer to travel south, away from London, Phoenix Motorcycle Training also have a training school in New Addington, which is also approved to MCIAC Gold Standard. This site is a five minute walk from Croydon Tramlink and is a long established training school in South London. Further afield, we also have training centres in Lewisham, Orpington and Sidcup. 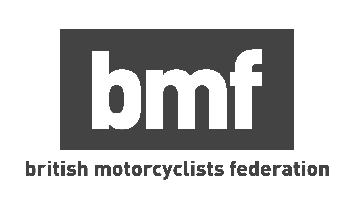 Riding in London is a little different compared to anywhere else in the UK, due to the sheer volume of traffic on the roads, so you’ll certainly find yourself in situations you didn’t experience during your CBT. The most important thing to remember when riding in London is to be patient. There’ll be a lot going on, other road users will be beeping their horns, and people will be trying to ‘politely’ push in. Don’t try to rush, and take everything at your own pace. You’ll be passed by other motorcyclists and scooter riders filtering through the traffic, but don’t worry about that for now. You’ll also want to stay visible. Remember, you’re one of the smallest vehicles on the road, so making sure you can be seen is incredibly important. You may want to wear hi-vis clothing, or bright colours, which will help in dull weather, but you can also make sure you’re always visible by your position on the road. If you’re following large vehicles, try not get too close behind them as they may not be able to see you in their mirrors. If you can’t see their wing mirrors, then they can’t see you. Hand back a little further, closer to the white line, visible in the mirrors and away from cyclists near the pavement. Concentrating on yourself and your own positioning is one thing, but you’ll also want to keep an eye on everyone else - and we don’t just mean road users. Pedestrians in London can be unpredictable at best, and at worst they think they’re invincible, so watch out for the impatient ones that are looking to take advantage of the tiniest gap in traffic.